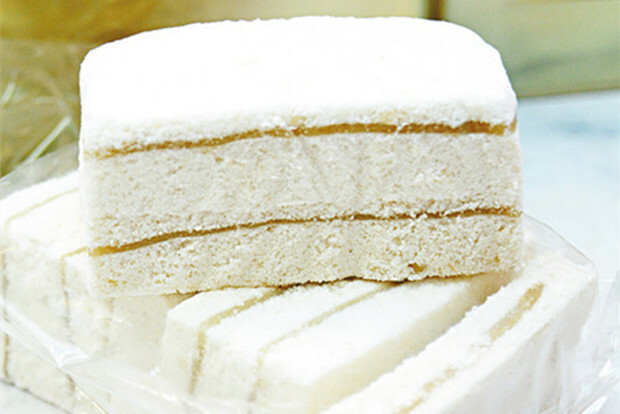 Introduction: Yun Pian Gao (Cloud Cake), also called Xue Pian Gao (Snow Cake), is a traditional dessert in Jiangsu and Guangdong Province. 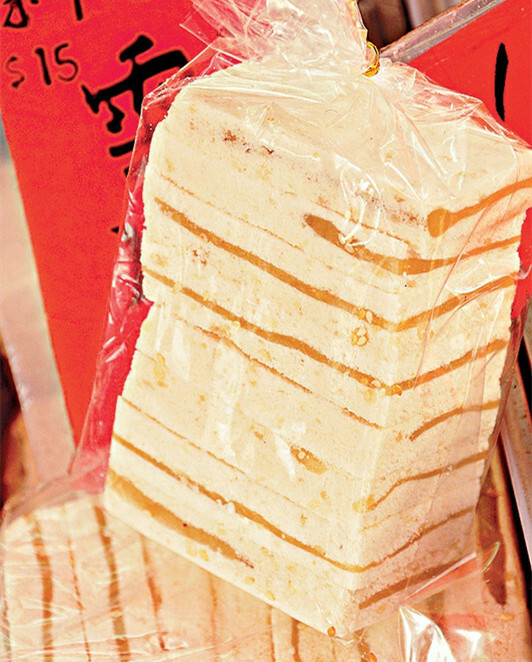 Yun Pian Gao is thinly sliced glutinous cakes which are white in color just like the snow or cloud in the sky. It is soft and sweet since the selected fried glutinous powder and white soft sugar are of high qualities. Each cake (with a length of 22cm) is sliced into 140 pieces. At the Mid-autumn Festival, Chaoshan people in Guangdong province would buy Yun Pian Gao to worship the moon and give friends as gifts.